What is a soft (“symbolic”) link? 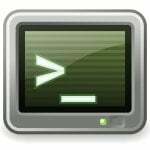 How do I create a soft link (symbolic link) under UNIX or Linux operating system? To make links between files you need to use ln command. A symbolic link (also known as a soft link or symlink) consists of a special type of file that serves as a reference to another file or directory. 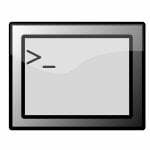 Unix/Linux like operating systems often uses symbolic links. Symbolic links can be made to directories as well as to files on different filesystems or different partitions. How do I create soft link / symbolic link? I executed this comment successfully and created a soft link. When I tried browsing to “/home/vivek.index.php” it shows “403 Forbidden error is thrown. Is there is any possibility to browse on the same? to set the server root to the right permissions so that pages are viewable. You may need administrator privileges. Please don’t ever do: chmod -R 777 /var/www or chmod 777 anywhere in your web accessible directories. I won’t bother telling what security risks this will open up. You can google it. 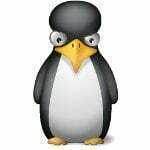 I run a server on LAN, therefore I don’t give a (“naughty-word”) about it, I do chmod 7777. Just saying, ha ha ha. Because there’s no possible reason to follow good practice when nobody’s watching, right? This error 403 access forbidden, means that a request for a “bare” directory path has been made, no default directory index page is present and the site manager does not want a file listing displayed in its place. If you have problems accessing a particular file or directory, ensure that the Web server has permission to read those files. Usually, the Web server will operate under a special user account, so make sure that user has read permission. In this case, either create an index for that directory or change the settings to permit directory listings. For Apache, use the Options +Indexes directive in the .htaccess file for the directory. u cannot create symbolic link to directories. No he didn’t. where in the question did he specify he needed a hard link? There are a lot of conflicting comments here. 1. Generally speaking, a directory *is a file* for the purposes of a symbolic link, i.e., you don’t need to do anything different. 2. The LINK points to the TARGET. 3. The TARGET is relative to the LINK. … this creates a LINK in /var/www/App/Webroot named VendorPublicDir (it defaulted to the TARGET name here because the LINK is an existing directory). The LINK points to the TARGET ../Vendor/VendorPublicDir (which is relative to /var/www/App/Webroot; where you run the command from doesn’t matter). Bunch of mental midgets on this board. I want to know that how to preserve these softlinks while copying the files on Solaris??? If any one saw my msz. Write me the advantage of soft link(symbolic link) only. How can we know about the various options under link command. Wanted to confirm the information I had. Great info, it worked. Pla tell me ,in what scenario,we can use soft link and hard link. I am trying to use a symbolic link (soft link) to allow multiple websites to share a css style that is beyond each sites root directory. whats the advantage of soft link over Hard link? How we can make more the Effective the Hardlink And Softlink? how do I make sure that web server has access to those folder. Please give the exact set of commands. why my link size immediately goes to zerosize occasionally? Please make sure that the file which you are accessing is having a read access for web server. If you are accessing a file under the home directory of a user there might not be read access for home directorates. means /home/user folder will be with 700 (drwx——) permission. So you would need to set 755 permission for /home/user folder if you need to access the file through URL. hiiiiiiiiii how to write the code in file……..
1st ask wat is UNIX? 1. 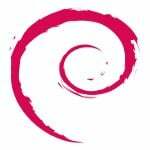 How can I create a symboliclink between two filesystems? Do I need to have a mount point to the second filesystem first then create a link to it? 2. If I copy a file with that has a symboliclink to another filesystem, will it lose the link? What is the basic use of a soft link or sym link? soft link maintains duplicate data in two files. if you link one file with another,change in one file reflected to another file also. Really thanks guyz…. I created link successfully. CASE: Actually user PC “/” is completely filled, so that user is unable to login. But he is able to login as super user. “/” is 100%. SOLUTION: I find that /usr and /var is occupying more space, so wat i did is I moved content of /usr directory to /work directory (free space) and did ln -s /usr/include /work/name of the link . Thats it all files are physically in /work direcory but logically it is pointing to /usr/include place. After rebooting user is able to work with his login, gained space in “/”. One more thing we need to consider as a security treat, some softwares have default UserID and Password like phpmyadmin and other softwares, after installation of this kind of software’s we need to take care of userID and Password. I was having some trouble creating a symlink to a directory, and I discovered that it was caused by my using a relative path for the target (e.g. “..”). When I used an absolute path, it worked like a charm! I am new with unix, could you please provide some information with example for symbolic link or hardlink …..why and how its use…. Currently my application is running on the local HDD partition. The path of application is /usr/local/app.Kindly suggest how we can change the default path to shared storage volume as we are plan to do OS linux clustering. i creted ldap users. now i want to share some directories to each ldap users with different permissions from server. how will i do that? Your current directory is sample_dir. Create a hard link to cars2, called cars3 within sample_dir? This is the hugest pet peeve when people try to explain *Nix stuff. You’re explaining it to people who already understand what ln does. Your use of “target-filename” “symbolic-filename” don’t make sense for someone who doesn’t understand ln to begin with. Nothing is explicitly indicating what is symbolic and what actually exists. Either that or use terminology like source / destination. As both arguments here can be interpreted as targets per how other *nix commands are used and documented. I am a complete newbie to this so can anyone tell me where exactly the symlink code goes? Does it go in .htaccess or some other place? Hi, everyone! This is so far what did I achieve. Can someone help with symbolic links? I couldn’t create a symbolic link between diretories. Before executing the command, should i change my directory to the parent directory so that the the file(target file name) which i intended to point to an another one(symbolic file name) points out in every other child directories present inside the parent directory?? OR can i just execute the command irrespective of which directory i am in?? This is an APPALLING, TERRIBLE page. You don’t even explain the order of the ln arguments. Which is the link, and which is the file?!?!?!? !